"I've changed my eating habits. Although I still have off plan days, fall off the 'train', I now have techniques to make sure I get back on it the next day. I now enjoy food more and treats are controlled instead of face planting into them and eating all the rubbish food." For the last few years, I’ve been really unhappy with my weight. 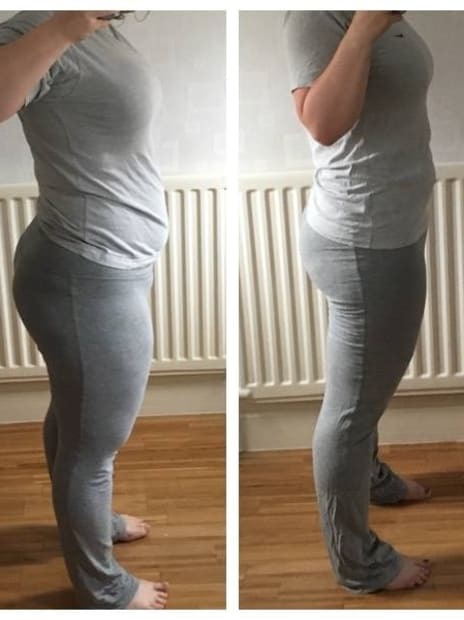 I’d tried various diets but they didn’t work – mainly because I got bored/didn’t feel it was working and then went off on a binge that undid any of the progress that I had made. I came across the trial for Sustain Nutrition and thought I’d give it a go. Within the first week I realised that it was something I could do and that it was sustainable. Being able to choose what you want to eat within a set of commandments, the daily reporting of your food and a coach who is there to provide support is exactly what I needed. I kept following the commandments and learning more about what works. Fast forward to 13 weeks later and I’ve lost 23lbs and 11.5 inches. But what’s more important is that I’ve changed my eating habits. Although I still have off plan days, fall off the ‘train’, I now have techniques to make sure I get back on it the next day. I now enjoy food more and treats are controlled instead of face planting into them and eating all the rubbish food. I’ve still got a way to go in my journey but I’ve found something that works for me and I know I’ll be continuing with sustain. I also wanted to take the opportunity to thank the coaches for the fantastic support, especially Gagan who has been there to answer any questions and provide whatever support that I’ve needed.